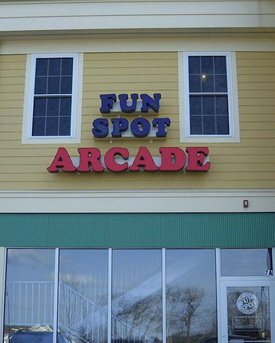 Exterior signs are extremely important for a company to create and enhance brand awareness, direct people to certain locales and generally announce that you are here. Truck and vehicle Lettering and Graphics puts your business name and branding in front of your potential customers everytime you hit the road. Attractive and effective interior signs are a great way to showcase your image and branding. Ready to make a splash at your next event, conference or Trade Show? Let Express Sign & Graphics help you with you trade show booth or display. Express Sign and Graphics has been designing and building custom signs for over 2 decades. We remain a family-owned business and our proud of our work throughout New England and beyond. Looking for a specific type of sign? Visit our Catalog to explore all your sign options! Express Sign & Graphics fabricates all types of custom signs for all types of businesses and organizations. We can help you with your sign project from design to installation. For Questions or a Free Quote on Your Sign Project, please contact us. Call 978.250.9890 or 1-877-SIGN123. Express Sign & Graphics, Inc. works throughout New England and beyond. 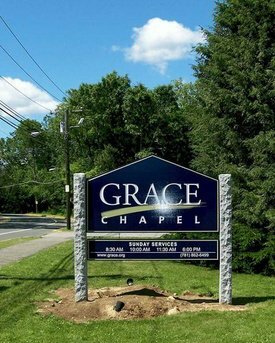 You’ll find samples of our local sign work in: Chelmsford, Concord, Boston, Westford, Lexington,Nashua,Acton, Arlington, Hudson, Littleton, Tewksbury, Manchester, Groton, Wilmington and beyond! Express Sign & Graphics, Inc. has been designing, fabricating and installing all types of custom signs since 1989. Whether you order vinyl decals or a multi-sign exterior project, you will find that we put the same care and quality into every customer’s order. Our fabrication team has an incredible amount of flexibility and can assist you with custom sign projects for 1 to 10,000 signs. Our knowledge comes from our experience which we put to work for our clients every day. We understand that unanticipated events can create deadlines that seem impossible. Because of our size, we are flexible and can usually help you meet even the most difficult sign and print project deadlines, no matter how tight the deadline. We offer many fast turnaround sign products including: full color digital print on banners, vinyl, signs, and posters. 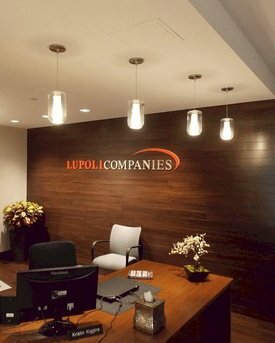 View our Project Galleries, including a full range of professional customer projects, custom fabricated signs. Pylon signs, monument signs, neon signs, electric signs, and more. “We are so incredibly happy to have Express Sign & Graphics to help us with everything we need.